If you want to protect your ears AND hear music clearly, ER custom musician earplugs are the perfect solution. They are comfortable and discreet, and provide consistent sound attenuation without compromising clarity. 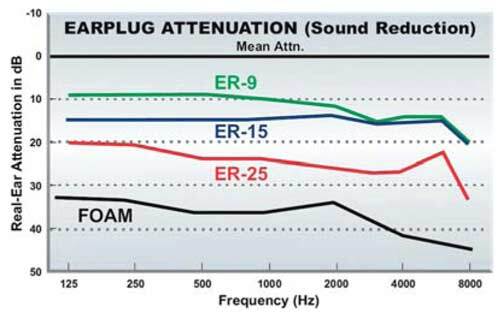 These high fidelity, flat response earplugs with either 9, 15 or 25dB sound reduction are designed to replicate the ear’s natural response; resulting in clear, un-muffled, accurate sound. Custom fit and made in a clear, soft silicone material, the plugs are comfortable and discreet. ER plugs are widely recognized as the industry standard for musicians, sound engineers, band crews and DJs. They are great for avid concert and club goers, as well.